As I mentioned in my previous posts, this time we were assigned to make a 3D construct of a superimosed image as well. Whereas, in this instance, that superimposed images were not ours. We picked randomly one of our firends images. Then again, we tried to apply same steps as previous superimpose excercise. Distinctly, this time I paid particular attention to the relations between elements and achieved that by again using tracing paper. Here is my work below. 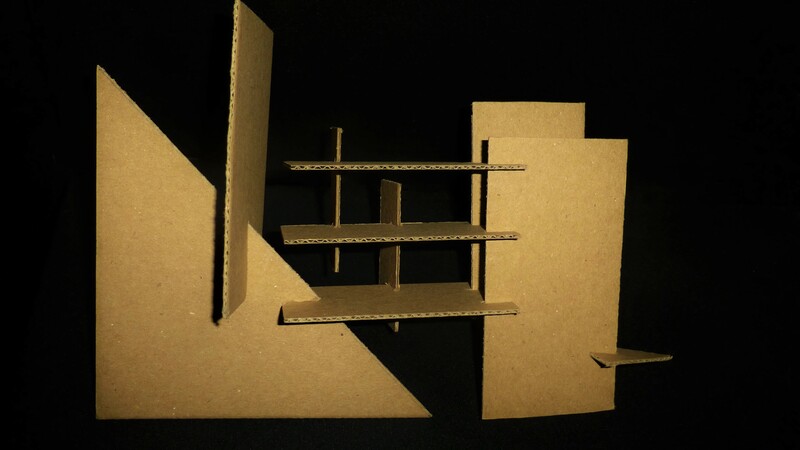 This entry was posted in ARCH 101 and tagged abstraction, architecture, design, melisbel, studio, superimpose, TEDU. Bookmark the permalink.